CURE-Nigeria urges Ministry to include prisons, detention centres in HIV/AIDS, Hepatitis survey – Royal Times of Nigeria. Citizens United for the Rehabilitation of Errants, CURE-Nigeria, has called on the ministry of health, to include prisons and other detention centres in the country in the National survey on HIV/AIDS, as well as Hepatitis B and C.
The body in a letter addressed to the minister of Health, Professor Isaac Adewole, a copy of which was made available to RoyalTimes, commended the ministry, the National Agency for the Control of AIDS, USAID and other development partner on the initiative to conduct such survey but expressed concern over the exclusion of prison and other detention centres from the survey. CURE-Nigeria, in the letter signed by its Executive Director, Sylvester T. Uhaa, said prisons and other detention centres for obvious reasons should rather be given priority in the conduct of such survey due to the alarming rate of HIV/AIDS and Hepatitis B and C in the prisons and detention centres. 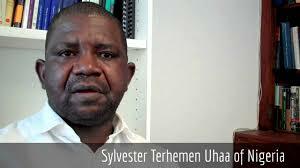 According to him, the few available date on HIV/AIDS and Hepatitis B and C in prisons across Nigeria and other developing countries reveal that the prsions and other detention facilities have become breeding ground for HIV/AIDS and Hepatitis B and C.
Uhaa said thousands out of the over 70, 000 who die in prisons and other detention facilities are as a result of medical neglect. 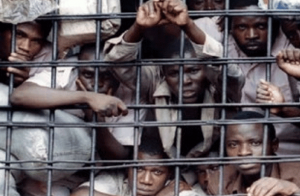 While stressing the possible failure of such an exercise without the inclusion of prisons and other detention facilities, the NGO boss cited the story of an inmate, Mr Friday Etakor, at the Benin prison in Edo state who in 2008 lost his life due to his inaccessibility to anti-retroviral drugs and adequate care. Uhaa said there is no way the nation can get things right if it continues to exclude prisoners and other detainees from developmental, health, educational, social and economic programs. The CURE-Nigeria Executive Director therefore called for an immediate inclusion of prisons and detention centres in the survey exercise for an inclusive benefit for individuals and Nigeria at large.